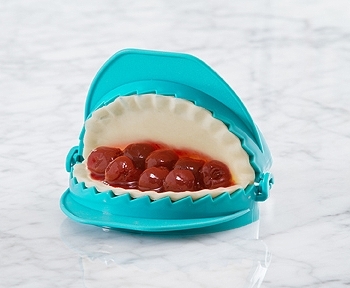 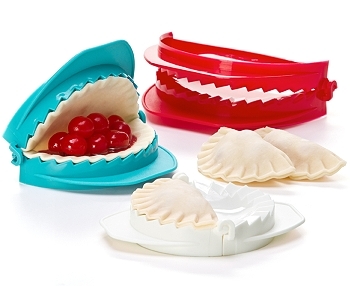 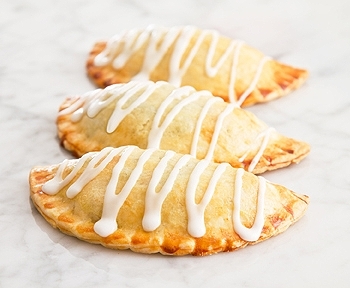 Ideal for making dumplings, turnovers, stuffed pockets, mini calzones and piroshki. 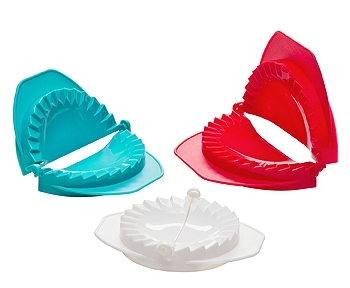 Set includes three convenient sizes: 4", 4 3/4", 5 3/4"
Each press has its own circle cutter for cutting-out dough, which fits perfectly within each dumpling press minimizing waste. 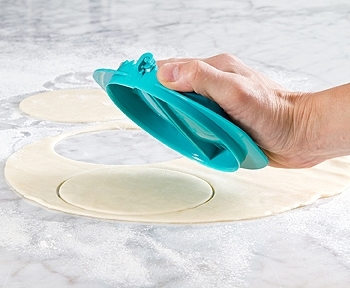 Then simply place the dough into the Dumpling Press, add your filling, then close to crimp and seal the dough!